To tourists, Nambia is known for turning up surprises when it is least expected. This time it is the rather sleepy fishing village of Henties Bay on the Skeleton Coast. Known as an excellent fishing destination, (think kabeljou, steenbras…) and the longstanding tradition of the inhabitants to give rather humoristic names to their fisherman’s cabins, Henties Bay has earned itself the reputation for being the “farmer’s Bahamas”. 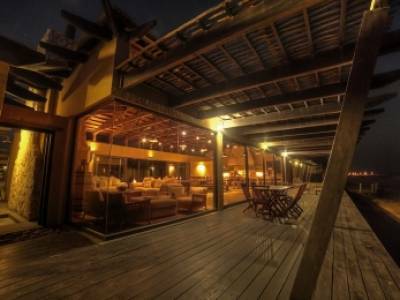 It is therefore not the place to expect an award winning architectural holiday home. It all started back in the 1950’s when Oom Jan Hendrik and Tannie Mieta Labuschagne put up a simple two roomed cabin for fishing breakaways from their cattle farm in the Gobabis district, close to the Botswana border. Due to its rather humble nature, they named the cabin "Ietsie" (Afrikaans for something small or insignificant). Tragically, Oom Jan Hendrik died in a car accident near the Spitzkoppe in 1964 while returning from a fishing trip and with that those fishing expeditions to “Ietsie” came to an end. 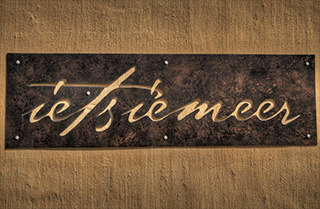 True to local tradition, the house now required a name and was subsequently called “Ietsiemeer” (Afrikaans for A little bit more) upon completion. 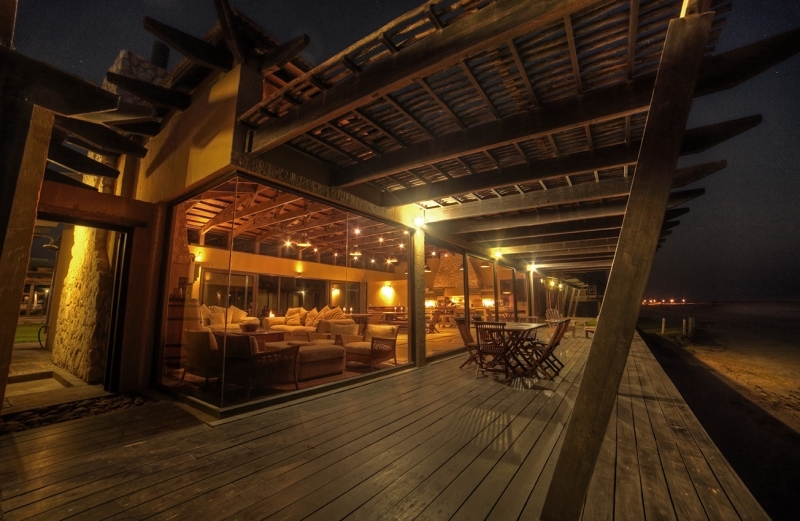 The hub of the house is the pavilion area with more than 180 degrees sea view. This is where the clan, now scattered around the globe, come together to cook, eat and catch up, trying out new recipes and old favourites like sosaties (local kebabs), vetkoek or the traditional lamb on a spit for New Years Eve. Incidentally, the pavilion is named after the original family farm Hener, bringing everyone together. 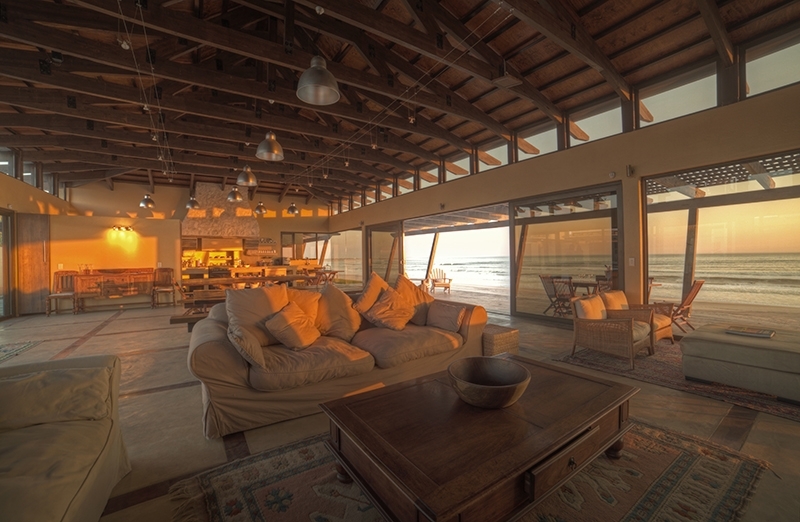 Apart from a sea facing deck from which to watch the dolphins playing in the sea by day and the spectacular sunsets of an evening, the house has an inner deck with a circular braai where a fire is always lit, everyone gathers around to put their feet up, enjoy a glass of wine and recall stories of days gone by or share their new adventures. 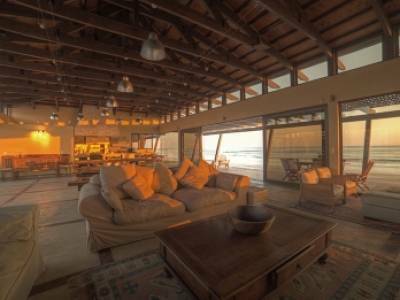 From its humble beginnings as Ietsie in the 1950’s, Ietsiemeer now not only welcomes a scattered close knit family to Namibia, but also hosts regular visitors from all over the world, such as the likes of Glenn Close. Whilst you may not know who these visitors are, you will be able to identify where they come from as their country’s flag is hoisted to welcome them, always accompanied by the Namibian flag, to make them feel at home! 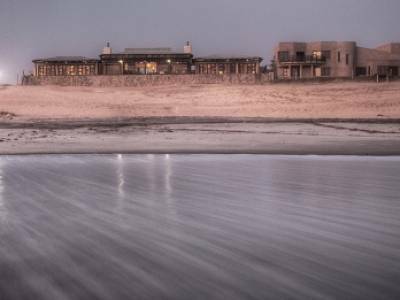 From Ietsiemeer natural gems like the Spitzkoppe, the White Lady of the Brandberg, Cape Cross, and the Rhino sanctuary at the Ugab River, Sandwich Harbour and Dune Seven at Walvis Bay can be easily reached. 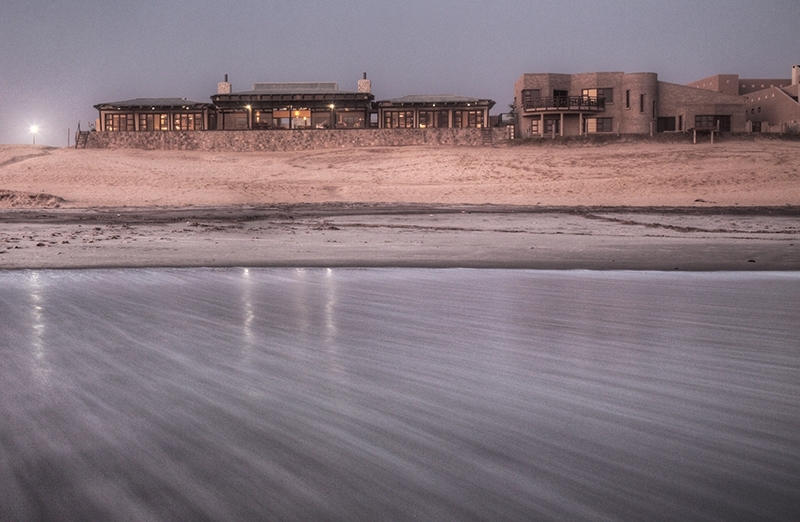 Shopping trips to the historic German town of Swakopmund is only an hour away, with its renowned restaurants and pubs. However, you need not go anywhere as the most remarkable feature of Ietsiemeer is that there is almost nowhere inside where you would not see or hear the mighty Atlantic Ocean. Ietsiemeer currently caters for groups of up to 20 people sharing and on a self-catering basis. Meals can be arranged on request. 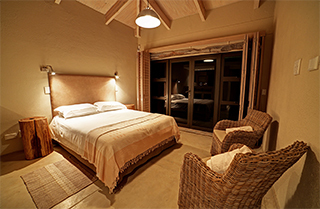 All rooms are en-suite, 6 of which are sea-facing and 4 opening onto the protected courtyard. The distinctly recognisable water tower structure, supporting a water tank moulded in the shape of a traditional mahango-grain silo, as found in northern Namibia, has become a landmark in Henties Bay.